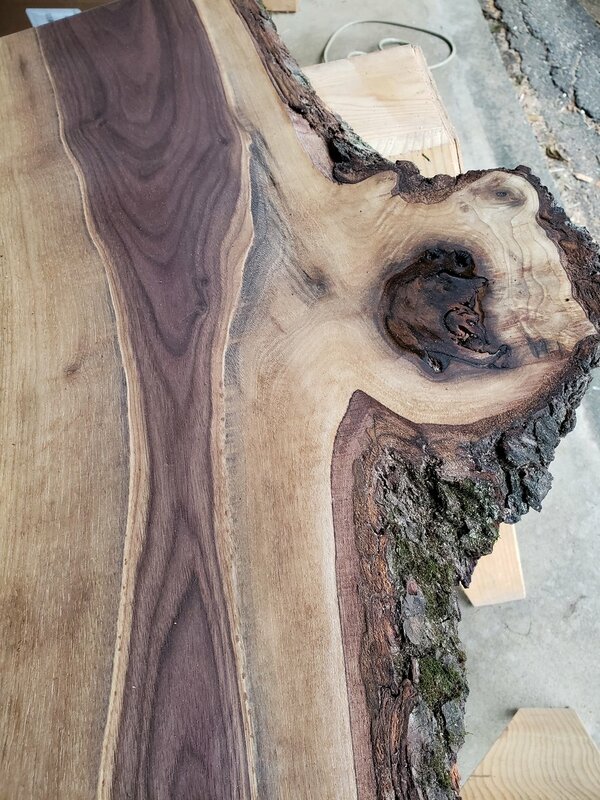 The Walnut Desk with preserved bark live edges is a milestone gift that will last for generations. The Walnut Writing Desk is the perfect inspiration for the new graduate, business owner or retiree. Just the right size for a laptop or diary with no room for clutter. This is a limited edition of 42 desks sourced from a giant walnut tree taken down in Dover Plains, New York, designed and built at Berkshire Place. Unique hand forged legs are designed and produced for each desk. We source local giant fallen trees or trouble trees that have to be taken down. We look for trees with the most interesting grains, burls and edges resulting from lightning strikes, desiccation or growth abnormalities. Then, limited production of desks and gathering tables are planned from whole logs. 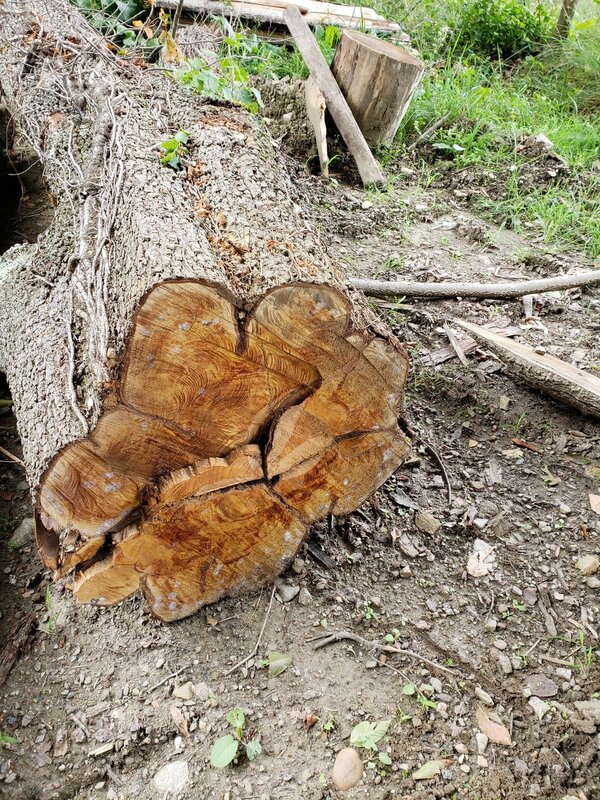 We recently had a 50-year-old apple tree milled and found decades-old nails embedded in the tree that gave it great character. Look for the apple tree coffee tables first quarter 2019. We dry our wood naturally over time until it is ready to finish. 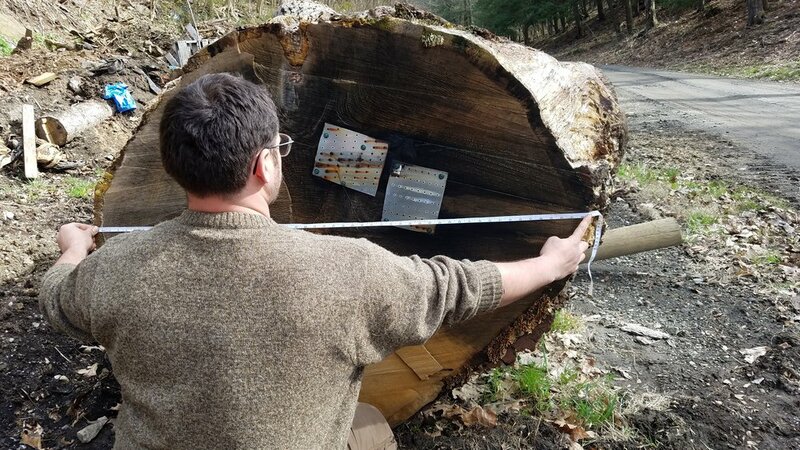 We look over logs and plan cuts for the best inevitable function – a shelf, a desk, a farm table or a conference room piece. We focus on preserving the natural beauty of each unique piece of wood. And then we finish. Custom orders are delivered in 4 – 6 weeks. We maintain the most natural appearance of the wood but staining often enhances a piece and we recommend a satin polyurethane finish for heavily used pieces – to resist water stains. Cherry slab cocktail table and companion pieces for side tables or shelves, black iron legs. The pieces have live edges and are signed and branded. We are currently producing nine sets of the three pieces. Matching legs for side tables or wall braces for shelves will be produced on request. We have a small operation and work with interior designers on specific projects, but pieces can be ordered online. Email Elizabeth@BerkshirePlace.country or call 860.946.9665 for more information. We can provide sample pieces of finished wood and provide quotes on request.